Queen B announces she will be part of Activate's six-part documentary series that will take audiences behind the scenes of Global Citizens. Activate, is a multiplatform storytelling partnership and documentary series to drive Action around Global challenges connected to extreme poverty. The South African media personality and Entrepreneur has had a strong passion for education. 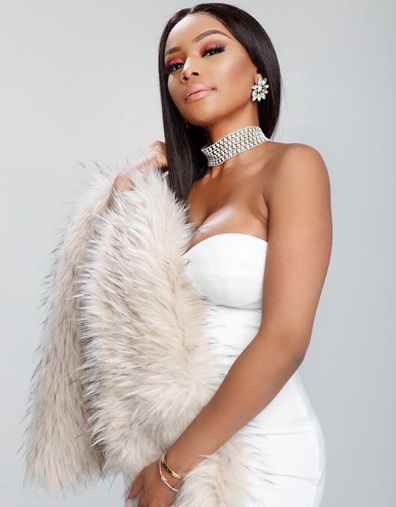 Inspired by the 2016 student uprising fees must fall protest, Bonang had a desperate urge to help educate young girls which led to her starting the Bonang Matheba Bursary Fund. The Series is set to feature Artists with a shared passion for the movement, including Uzo Aduba, Rachel Brosnahan, Hugh Jackman, Gayle King, Usher and Pharrell Williams. ...in 2019, we continue our mission to KEEP OUR GIRLS IN SCHOOL! So excited to be part of #ACTIVATE, a six-part documentary series with @natgeochannel, @proctergamble, and @radicalmedia that will take you behind the scenes of Global Citizen! Coming this fall to National Geographic Channel..... ??????????? ?